Hi there! Today is the Inspiring Inkin' 2012 Blog Hop. You've probably hopped over from Amanda's blog, don't you just love her projects. 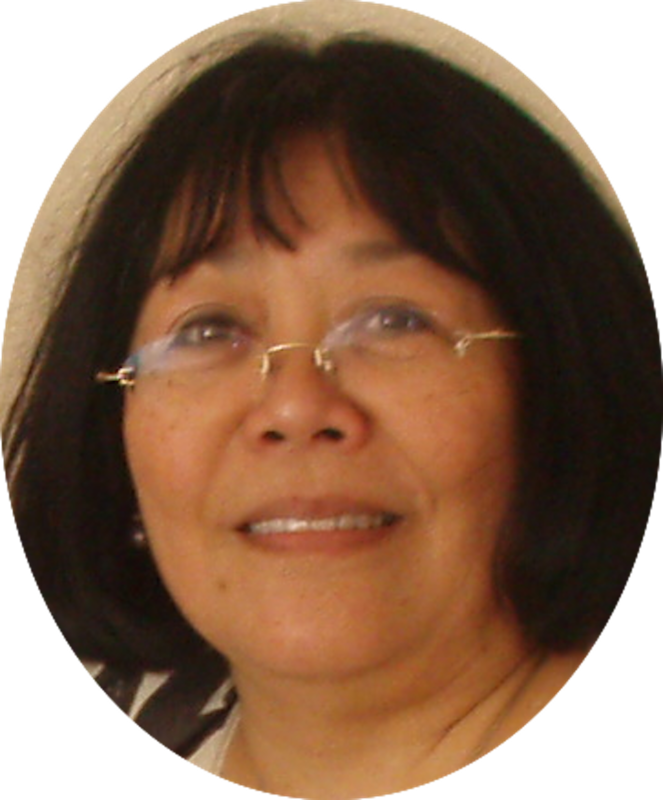 If this is your first visit to my blog, WELCOME! With the 2012-13 new catalogue only days away from launch, I am sure you're as excited as I am about what's in store. 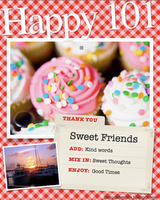 We have an expanded product range and we've jumped from 130 pages to over 200 pages in the space of a year! I bet you're sitting up now and taking note! My club members will receive a complimentary of this tome. The new catty RRP is £5.95 excluding shipping. If you'd like a copy I will be selling them at £4.50 including shipping or better still, book a party and get one for free. So, here's a sneak peek at one of the new stamp sets Betsy's Blossoms. I made a double gatefold card out of a 5 1/2" x 12" piece of DSP from the forthcoming new Designer Paper Series, Floral District. The two outer folds were cut diagonally and I added Daffodil Delight and Whisper White cardstock panels to strengthen the designer paper. I used marker pens to ink the trio of flowers - this is configured as a single stamp. The skeleton leaf pattern was stamped with Lucky Limeade. The bird is in Baja Breeze and Rich Razzleberry. 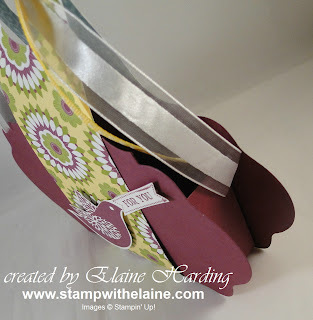 To keep it closed, I made a belly band out of Rich Razzleberry and used the Daisy Bigz die to embellish it with. The label "For You" was cut out with the new Apothecary Accent Framelits dies (4 in the set) and there is also a Layered Labels stamp set which co-ordinates with it which I've used on another card for the blog hop. 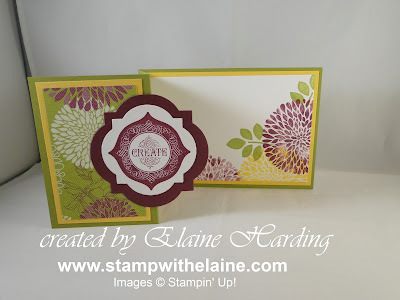 Next up is this large crysanthemum image from Betsy's Blossoms and it is perfect for this triple stamping technique. 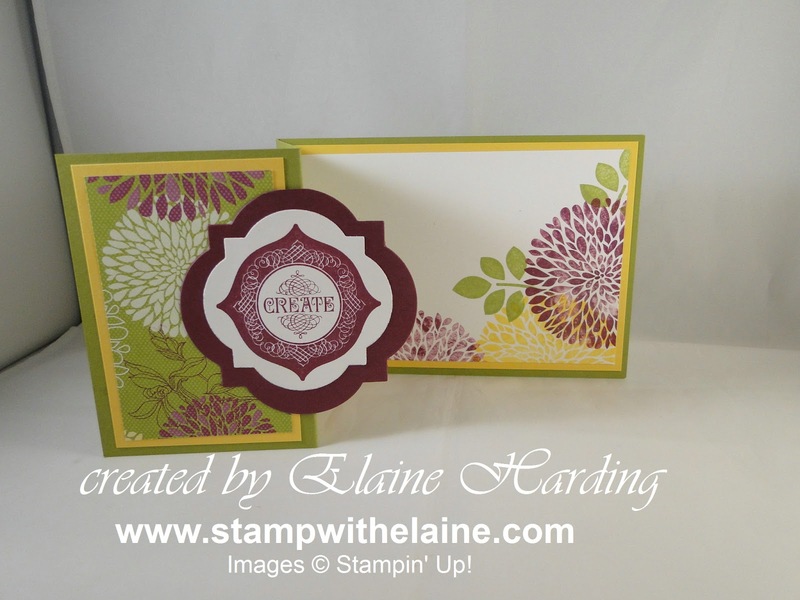 I taught this to my Technique club ladies back in June and the following month, my card club ladies tried their hand at these too. It's really simple, but carries a WOW factor. Basically, you cut different size neutral card stock in three decreasing sizes, temporarily adhere them on top of one another and then stamp. Next you peel them apart and mat them onto coloured cardstock cut 1/4" larger than each piece of neutral cardstock. When cutting the coloured mats, you only need cut 2, as the card base itself is a "mat". I stuck to this colour palette using Rich Razzleberry, Lucky Limeade and Daffodil Delight so that I could feature the new stitched grosgrain ribbon of the same name. I stamped extra leaf images and hand cut them to tuck behind the label and used the large pearls to "anchor" the labels as a finishing touch. 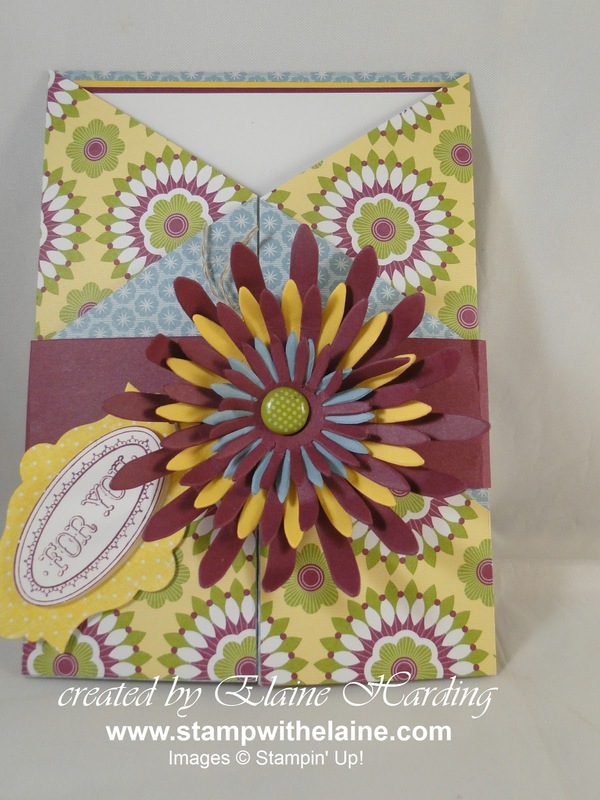 Continuing with the colour scheme in Daffodil Delight, Rich Razzleberry and Lucky Limeade, here is a z-fold card. I used another design from the Floral District DSP pack. 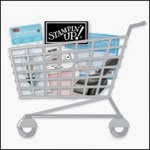 Here's the other label image I used from the Layered Labels stamp set in conjunction with Betsy's Blossoms stamp set. I used the stamping off technique. To create the different shades of Rich Razzleberry, after I inked the stamp, I used a baby wipe and randomly but very lightly and gently took off some of the ink before stamping the image. You can see the "Z" fold better from this angle. The Framelits Window dies are new wafer thin etched dies which were recently introduced in the seasonal Autumn/Winter catalogue. If you haven't bought them yet, it's a must have! 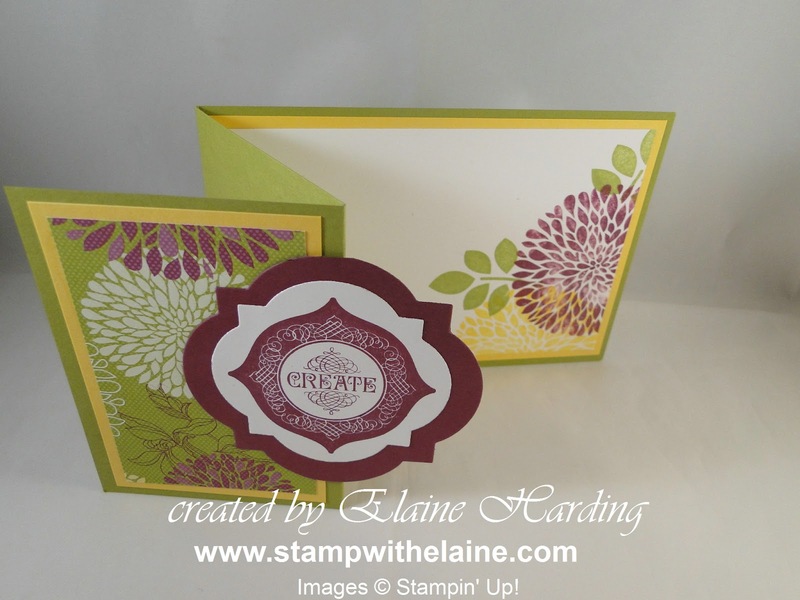 Look how pretty it makes the card look - just by cutting and layering cardstock! Here is a 3D item to finish with. This is the latest Oval Accents Bigz clear die - remember the scalloped square we had previously? The housing for the die is clear plastic and there is a finger hole in the centre to pop out your cardstock after it has been cut. The advantage is that you can position the die and see what you're cutting. Great if you're cutting patterned paper or even a photo. This is a fancy shaped oval one which I've used to make into a 3D container. The little bird from Betsy's Blossoms is growing on me! It is really easy to cut by hand. 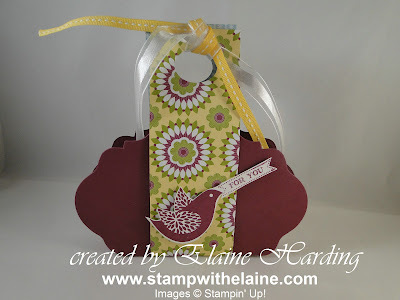 I'd stamped "FOR YOU" from the "Itty Bitty Banner" stamp set close to the beak of the bird and cut the bird and banner as one piece then adhered it with dimensionals to the bag. I made a box then scored the edges of the labels to wrap round the box base. To make the handles I took a strip of leftover DSP and glued it to the bottom making sure that the ends were equal at the top then wrapped it around the box, punched a hole with the tiny oval punch and laid the Daffodil Delight ribbon on top of Whisper White Organza ribbon and threaded it together and tied a knot to keep the box closed. All these projects are really quick and simple to make, but, I hope you'll agree, still has that WOW! factor. Why don't you give it a go? In case the loop gets broken, here is the full list of participants on this blog hop. Thanks for visiting - next stop is Kazza. Click on the badge below, it should take yto Kazza's blog where she has more techniques to show you. 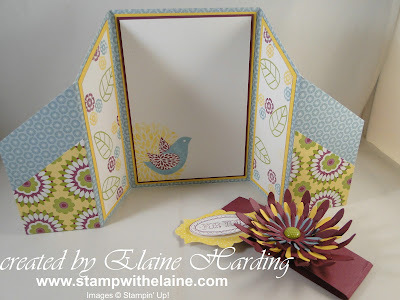 Wow wonderful projects Elaine, thank you for taking part in the blog hop! WOW Elaine your projects are amazing. Please can I case them??? Yes, of course you can - that's the whole reason for doing the blog hop! 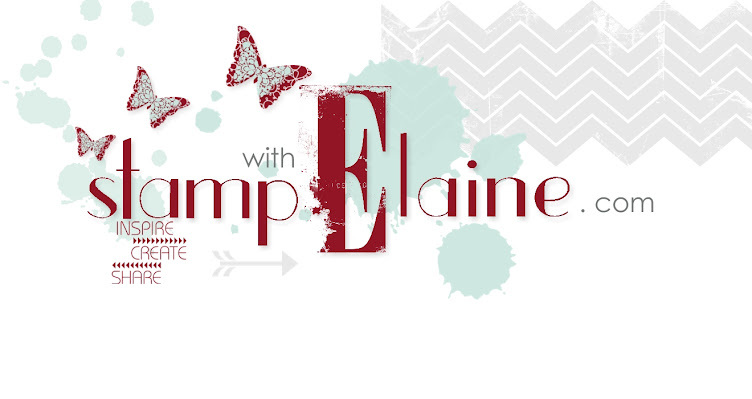 I promise to visit everyone's blog on Sunday when I can do it - just working against the clock at the mo! 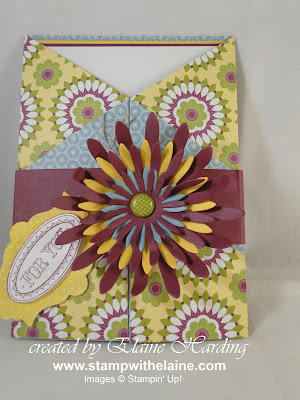 Love the colour combinations you have used Elaine, fantastic projects as usual.